Rotterdam Art Heist: What is the Triton Foundation? The Triton Collection was built over twenty years by Rotterdam oil and shipping magnate Willem Cordia and his wife Marijke van der Laan. The collection includes approximately 250 paintings, drawings and pieces of sculpture. The core of the collection consists of Western art dating from 1870 to 1970 and is reputed to be one of the 200 most important private collections in the world. An entrepreneur and investor, Willem Cordia served as an officer with the Holland-America Line and later became a strategic investment developer and port magnate in Rotterdam. His wife’s family was well known in the Dutch shipping world, making their fortune in the worldwide transport of dry bulk cargo like ore, coal and grain. At the time of his death, Cordia's wealth was estimated at € 330 million. The Triton Collection was bequeathed to the Dutch Foundation Triton at the time of Cordia’s death. Starting with the goal of making the collection and new acquisitions more accessible to the general public, the foundation’s overseers have loaned works from the collection to museums and temporary exhibitions. Artworks from the collection have been loaned to international art museums such as the Thyssen-Bornemisza Museum in Madrid, the Seoul Museum of Art and locally within the Netherlands to the Van Gogh Museum as well as the Hague Municipal Museum. 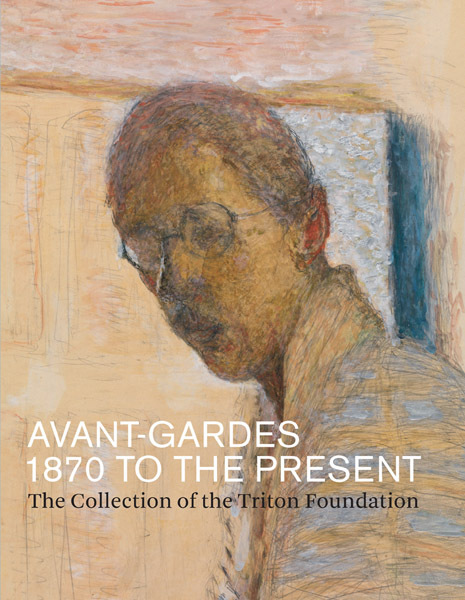 The Triton Collection focuses on innovators in modern art and includes artworks by Bonnard, Braque, Cézanne, De Kooning, Dufy, Fontana, Freud, Giacometti, Kelly, Klein, Manzoni, Modigliani, Mondrian, Monet, Picabia, Picasso, Stella, Uecker, Van Dongen, Van Gogh, and Vuillard. From 2006 to 2011, Peter van Beveren served as curator of the Triton Foundation. The Collection is now curated by Marlies Cordia-Roeloffs, daughter of Willem Cordia and his wife Marijke van der Laan. The exhibit on loan to the Kunsthal Rotterdam from 7 October 2012 to 20 January 2013 included more than 150 artworks selected from over 100 different artists from the vanguard, the avant-garde of western art history. Many of the works were on display for the first time publicly. Link to other exhibitions with pieces of the collection.